In Lucent Techs. Inc. v. State Bd. of Equalization, Cal. Super. Ct., No. 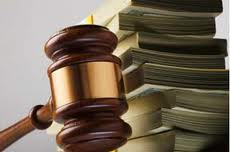 BC402036, (4/21/14) the tax collector was ordered to reimburse AT&T, Inc. and Lucent Technologies for $2.6 million in attorney’s fees incurred pursuing a sales tax refund. The refund claim involved sales taxes on Lucent software for AT&T switches, which was essentially declared exempt in another California case. Although the tax collector asserted that it was not bound by court decisions in its interpretation of tax, the court stated it was without a triable issue of fact in defense of paying the refund. Additionally, the court stated it would be poor policy to cause taxpayers to foot the litigation bill alone in the face of clear precedent against the tax collector’s position. This decision tells the tax collector that s/he may suffer the taxpayer’s consequences if it wishes to further test the waters on a tax issue. While Louisiana local sales tax laws have only recently included a taxpayer’s right for prevailing party fees, Louisiana taxpayers are already making recoveries from tax collector’s without a substantially justified position. LDR disagrees with welding company: fuel is not excluded from sales tax, despite the written law saying as much. Taxpayers File Suit Against the Cap On Louisiana Solar Tax Credits.